After the 2016 election there was much trepidation in the corporate world about what the election of a self-proclaimed populist would mean for business. Trump’s intervention in the controversy over layoffs at a Carrier plant in Indiana was taken as a signal that he would be tough on the Fortune 500. “Corporate America unnerved by Trump” was the headline of a front-page story in the Washington Post on December 7, 2016. At the one-year mark of the Trump Administration, those fears have been long forgotten. 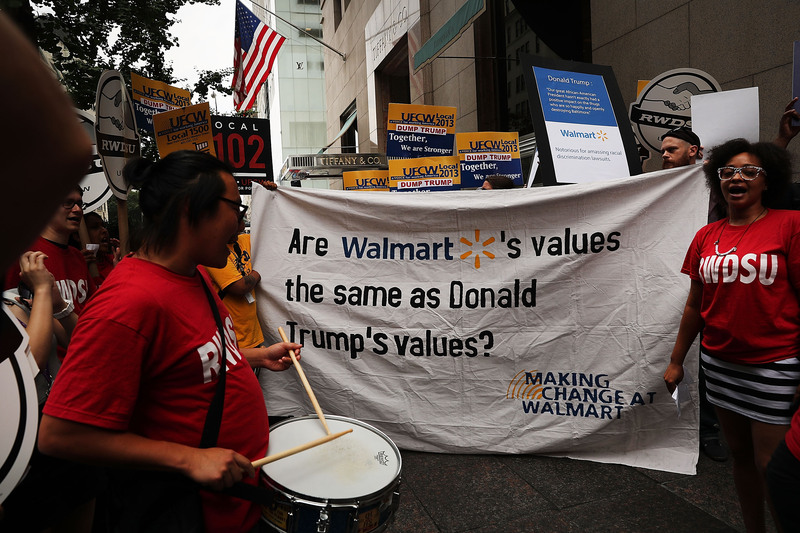 Although some corporate executives have spoken out against the president on certain social and civil rights issues, they have generally made peace with him on economic policy. They are delighted with his deregulatory moves and are thrilled at the windfall they are enjoying from the tax bill. Meanwhile, they grow wealthier by the day as a result of the stock market’s new bout of irrational exuberance. Some companies are taking things a step further by also adopting Trump’s style of making exaggerated and self-serving claims while pretending to be acting in the national interest. The ranks of the these corporate Trumps seem to be proliferating. Even before Trump took office, the Japanese company SoftBank proclaimed that it was inspired to invest $50 billion in the United States and create 50,000 jobs. The Taiwanese company Foxconn promised $7 billion in investment and also the nice round number of 50,000 jobs. In February Intel, praising Trump’s policies, said it would invest $7 billion in a U.S. chip plant and create 3,000 jobs. In May the Indian business services outsourcer Infosys claimed it would hire up to 10,000 people in the United States. During the summer, Foxconn upped its ante with an announcement that it would spend $10 billion to build a flat-screen plant in Wisconsin that would ultimately employ some 13,000 workers. 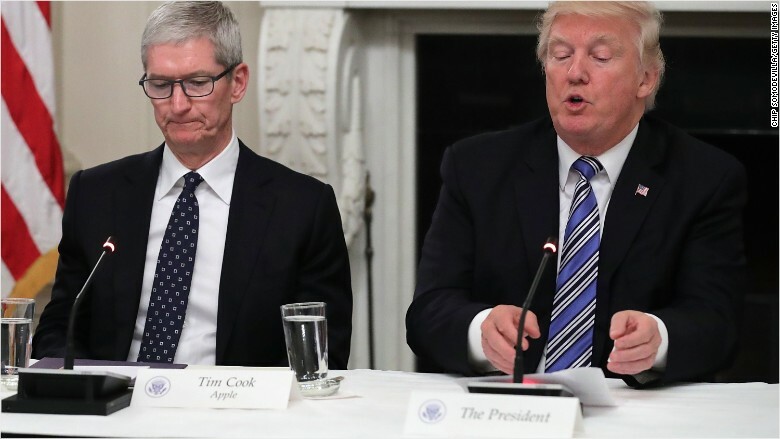 The latest company to Trumpify itself is Apple, which says it is so happy with the tax law changes that it will invest $30 billion in the U.S. over the next five years and create over 20,000 new jobs. Although it has not linked its move directly to Trump’s policies, Amazon’s announcement in September that it planned to create a second headquarters with 50,000 new jobs fits into the same trend. What these announcements have in common is that they seem to be designed more as public relations stunts than as serious economic commitments. Many of the numbers are far beyond the norm and appear to be chosen to attract attention. At a time when the typical plant workforce is shrinking, especially in high-tech, Foxconn’s claim that it will employ 13,000 people in that Wisconsin facility seems far-fetched. Equally implausible is Amazon’s stated intention to more than double its headquarters staff. The idea that Apple, which was built on cheap Chinese labor, will suddenly become a high-road domestic employer is preposterous. It is unclear whether some of these initiatives will ever see the light of day at any employment level. Foxconn, in particular, has a track record of failing to follow through on announced projects. Some of the companies are probably currying favor with the Trump Administration in order to achieve regulatory relief or other administrative benefit. Some, especially Foxconn and Amazon, have used their announcements to encourage state and local officials to offer bountiful financial incentive packages. Apple is trying to burnish its image long tarnished by foreign labor scandals and accusations of tax evasion on a monumental scale. 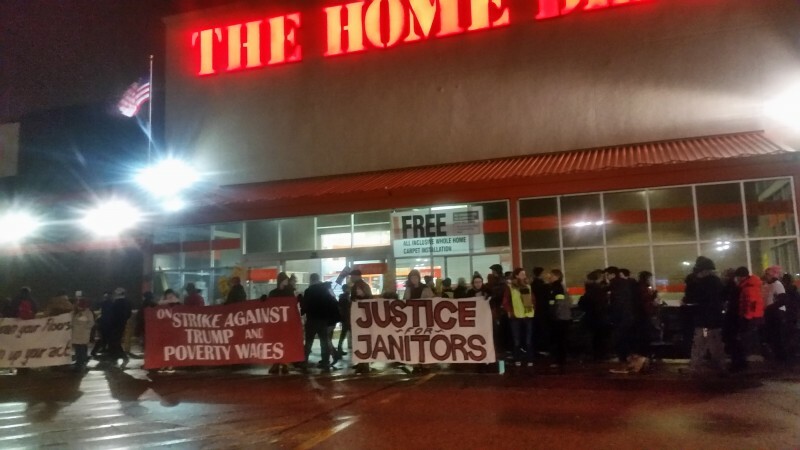 What all the companies are counting on is that eventually their lavish promises will have been forgotten when they deliver a lot less in the way of investment and jobs – and especially job quality. Taking their cue from Trump, they are focusing on the short-term benefits of making unsubstantiated statements and giving little heed to the longer-run consequences of their actions. Money laundering has jumped back to the top of the corporate crime charts, thanks to Steve Bannon’s statements about Trump’s associates as well as the revelation by the founders of Fusion GPS that they gave Congressional investigators leads about the president’s questionable business transactions. Amid all this, the Office of the Comptroller of the Currency reminded us of the wider scope of corporate ties to money laundering by announcing that it was fining Citibank $70 million for failing to comply with a 2012 consent order the bank signed with the agency to resolve allegations of violating the Bank Secrecy Act. Western Union is paying a $60 million penalty in a similar case brought by New York regulators. According to data compiled for Violation Tracker, the Justice Department and federal financial regulators have since 2000 brought more than 80 successful cases against corporations for deficiencies in their anti-money laundering practices. These companies have paid a total of $5.9 billion in fines and settlements. The targets of these cases include several of the largest U.S. banks. JPMorgan Chase paid the largest penalty, $1.7 billion, to resolve a criminal case connected to its role as the banker for Ponzi schemer Bernard Madoff. Wachovia, now owned by Wells Fargo, was fined $110 million in 2010. Citigroup subsidiary Banamex agreed last year to forfeit $97 million to resolve a criminal case involving remittances to Mexico. Foreign banks have also been involved. In 2012 HSBC had to pay $1.3 billion to resolve charges relating to anti-money laundering deficiencies as well as violations of economic sanctions. Last year Deutsche Bank – the same institution whose name keeps getting mentioned in connection with the Trump investigation – was penalized $41 million by the Federal Reserve and was fined $425 million by New York State regulators for anti-money laundering deficiencies said to be connected to the illicit transfer of more than $10 billion out of Russia. Federal prosecutors and regulators have also brought cases against non-bank entities that handle lots of cash, including Western Union, American Express and casinos. In 2015 the Tinian Dynasty Hotel & Casino was fined $75 million, and in 2013 the Las Vegas Sands Corp. paid $47 million to resolve criminal charges. Also in 2015 the Treasury Department imposed a $10 million penalty on the Trump Taj Mahal Casino Resort, which by that time was no longer controlled by Donald Trump. Yet the justification for that penalty mentioned that the casino had been found in violation of the Bank Secrecy Act many times in earlier years, including 1998, when, with Trump running the show, it was fined $477,000 by Treasury. All of which is to say that neither Donald Trump, his current and former business interests, nor many of the largest financial institutions are strangers to issues of anti-money laundering deficiencies. For the most part, these cases involve a failure to detect and report suspicious transactions on the part of clients and customers. The big question for the Trump empire is whether it will faces charges of having engaged in such transactions on its own.